I created a digital cutting file to make this card. Its really, really cold here – so I though a winter ready owl might be a good Valentine’s Day Mascot. You can download the Silhouette Studio file here. I also included a PDF in case anyone wants to cut by hand. You can download it here. 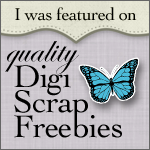 This entry was posted in Freebies on February 13, 2016 by Cathy. This is adorable Cathrine! Thanks so much. Such a fabulous kit, thank you so much for sharing it with us.